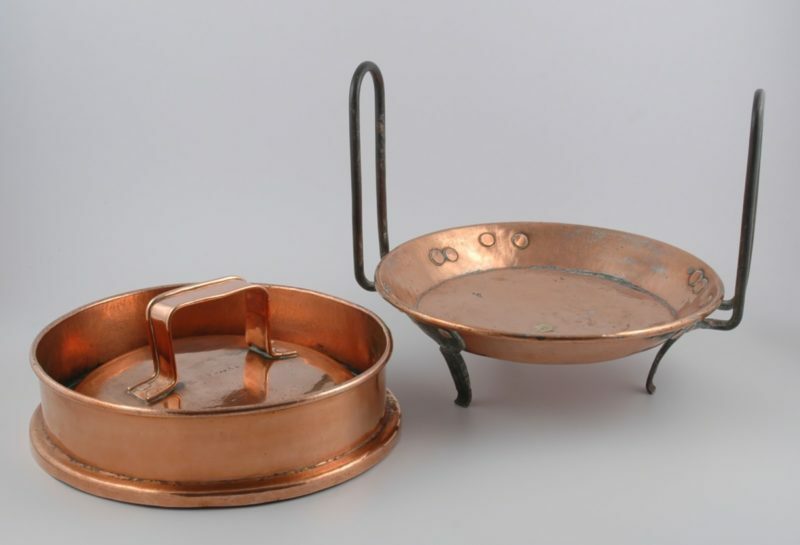 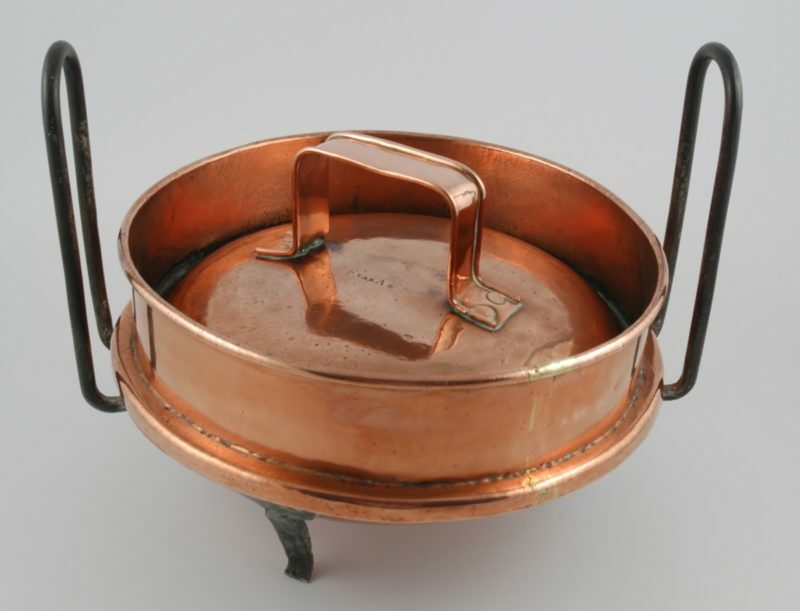 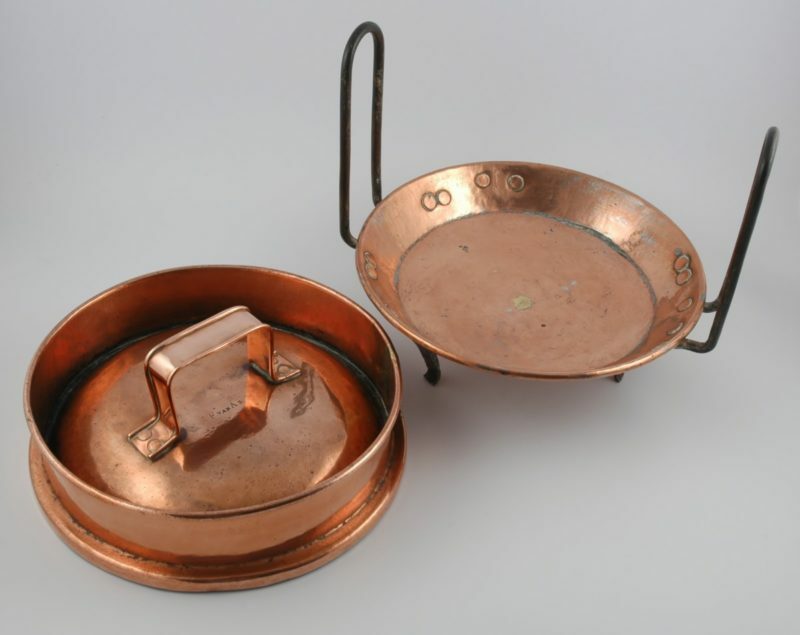 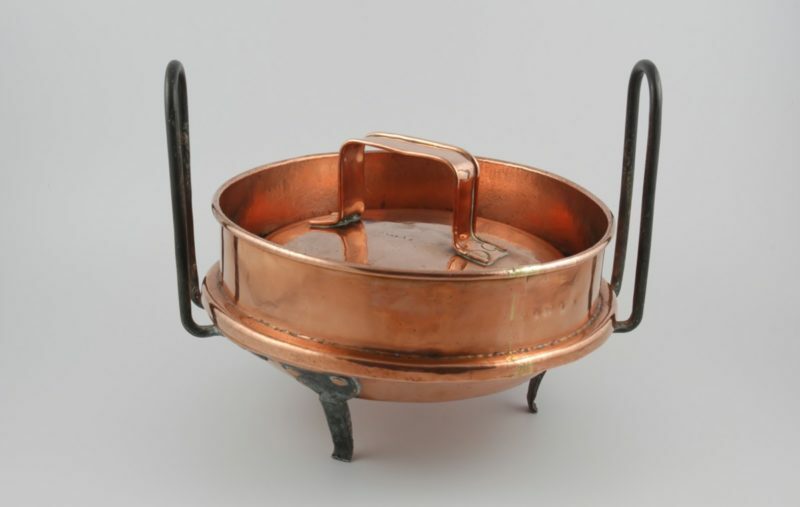 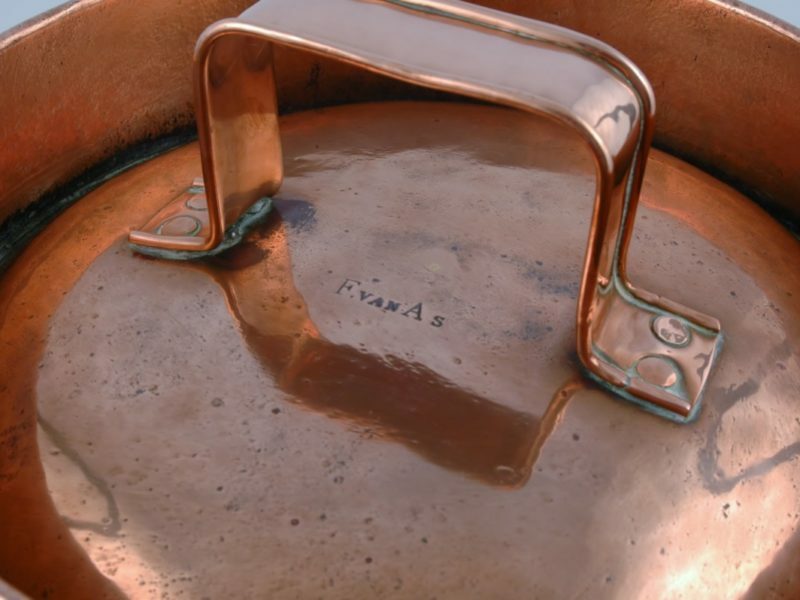 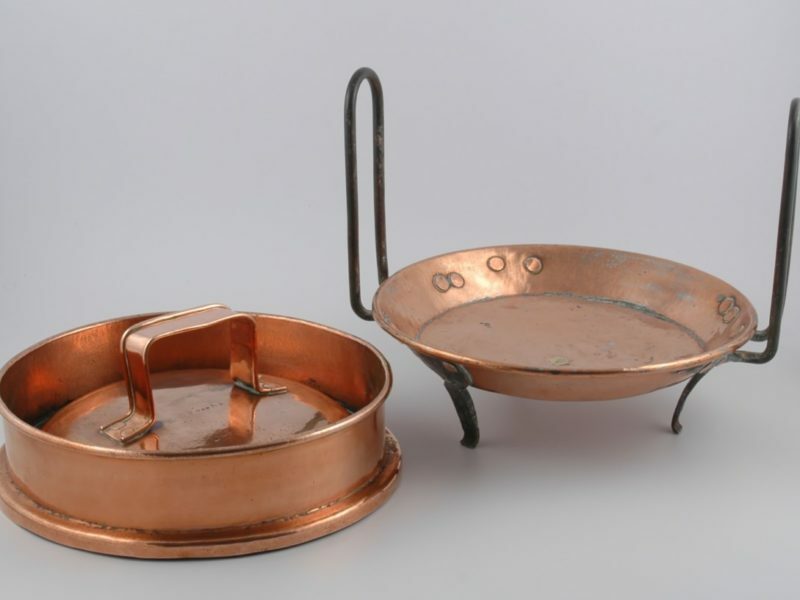 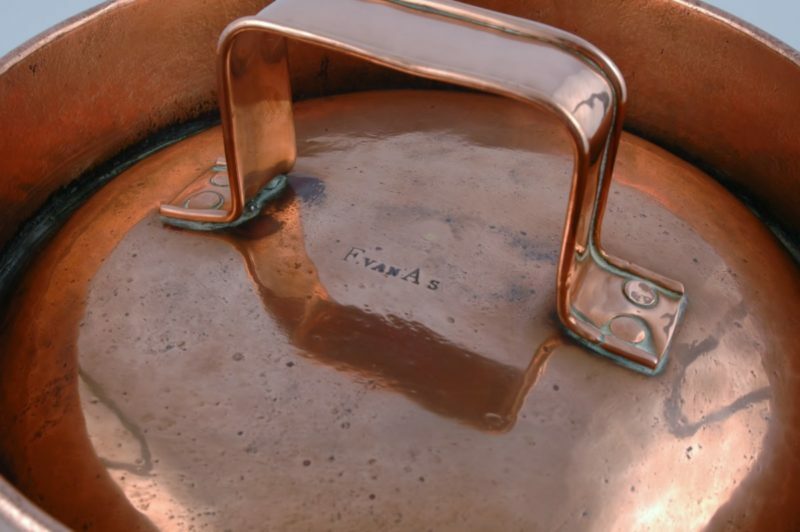 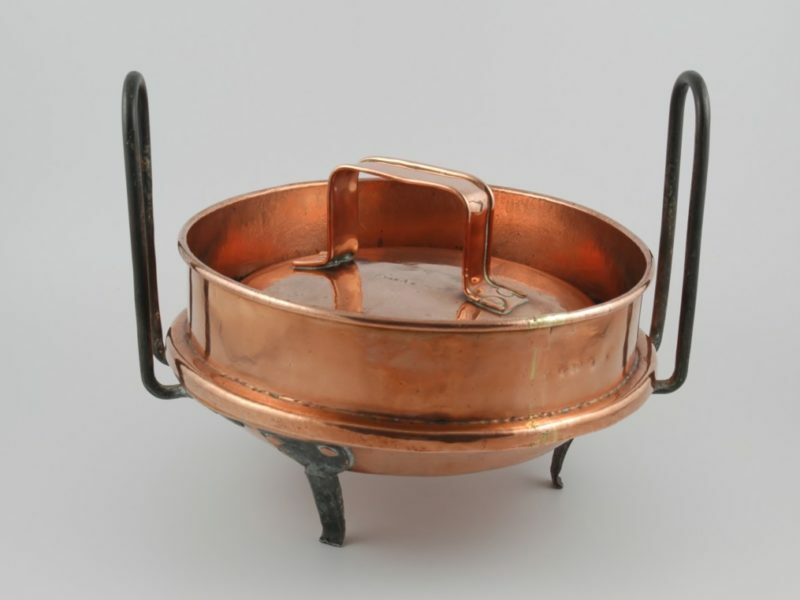 Cape copper Tart pan by F Van As- Circa 1880. 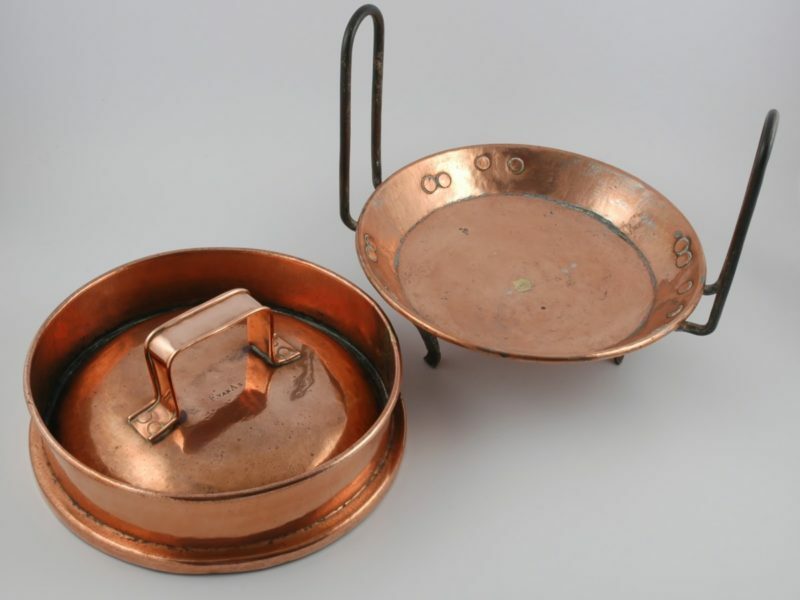 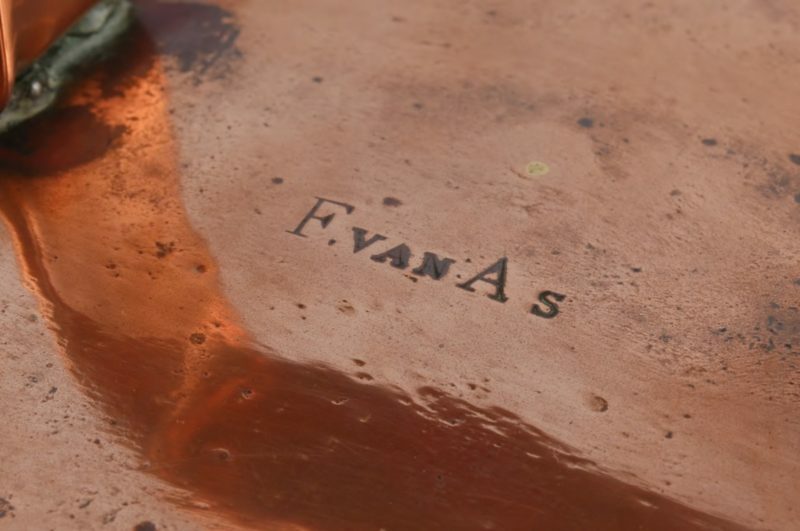 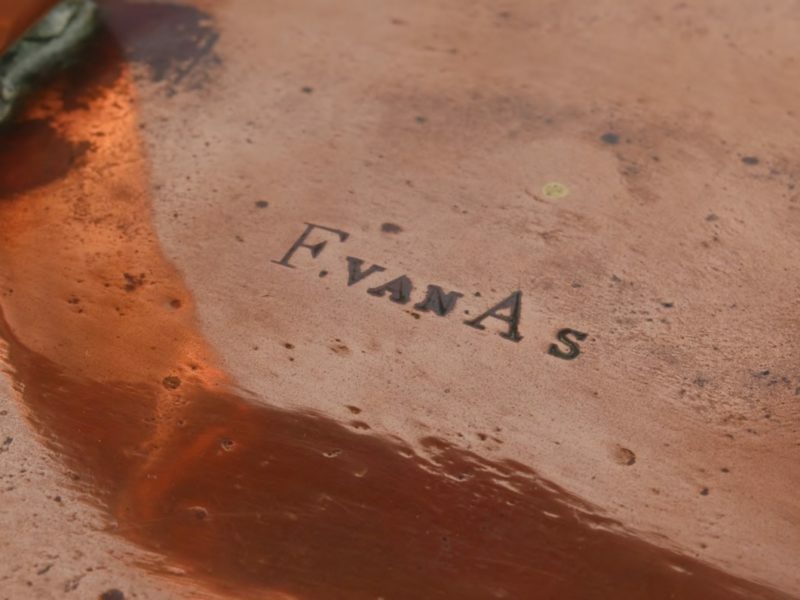 Rare Cape copper Tart pan by F Van As, circa 1880. 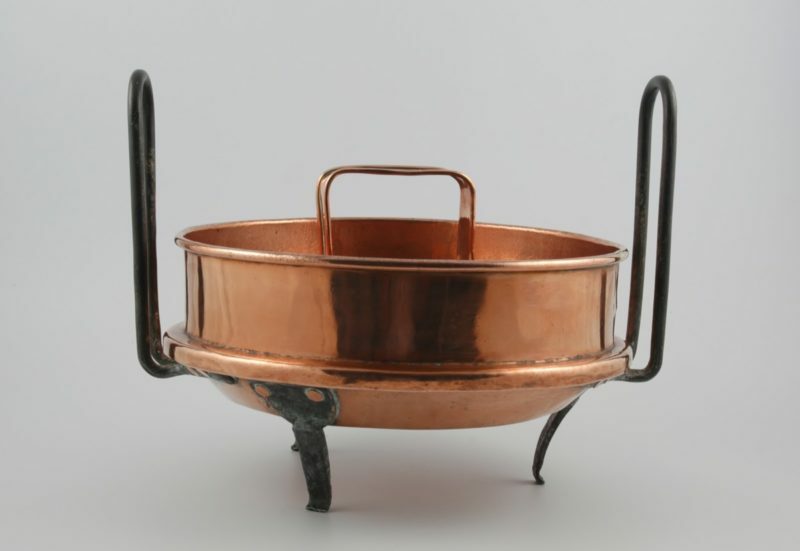 See Page 135 of ‘The Cape Coppersmith’ by Marius le Roux for a similar example. 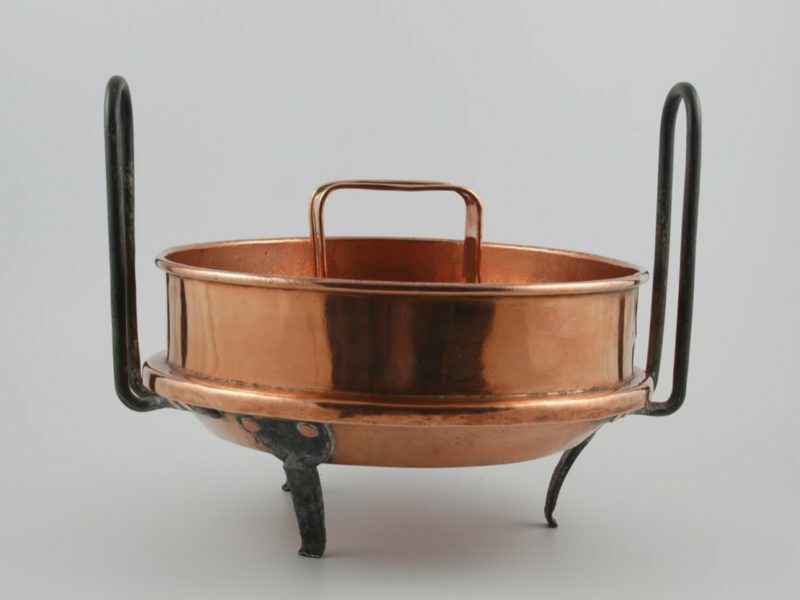 Dimensions: 17,5 cm high by 30,9 cm diameter.